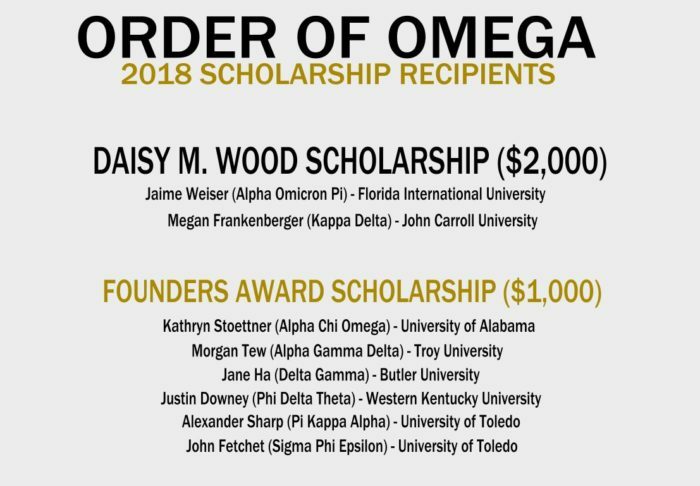 Order of Omega is proud to announce the selection of the 2018 Undergraduate Scholarship Award recipients. For 2018, Order of Omega awarded 138 recipients from 79 chapters with scholarships totaling $66,850! Congratulations to all of our 2018 undergraduate scholarship recipients!